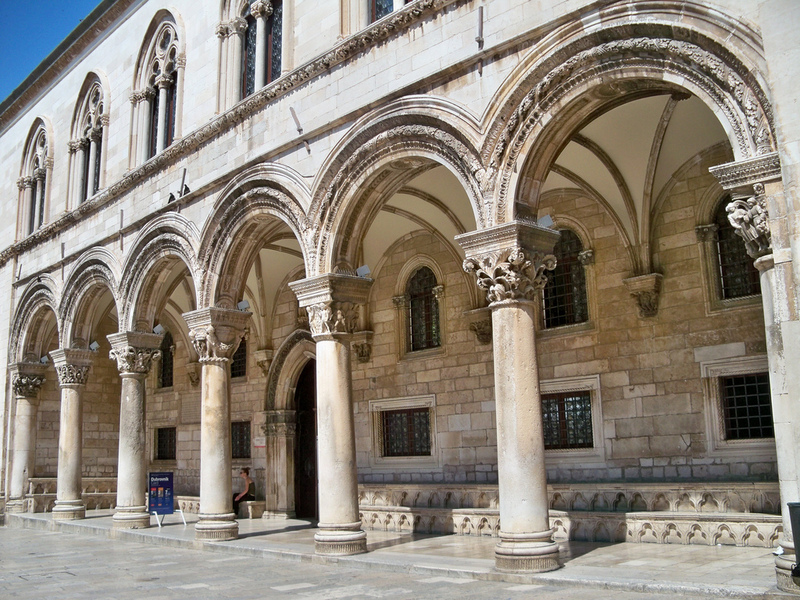 The Rector’s Palace is a historic monument in “one of the most impressive buildings in Dubrovnik”. 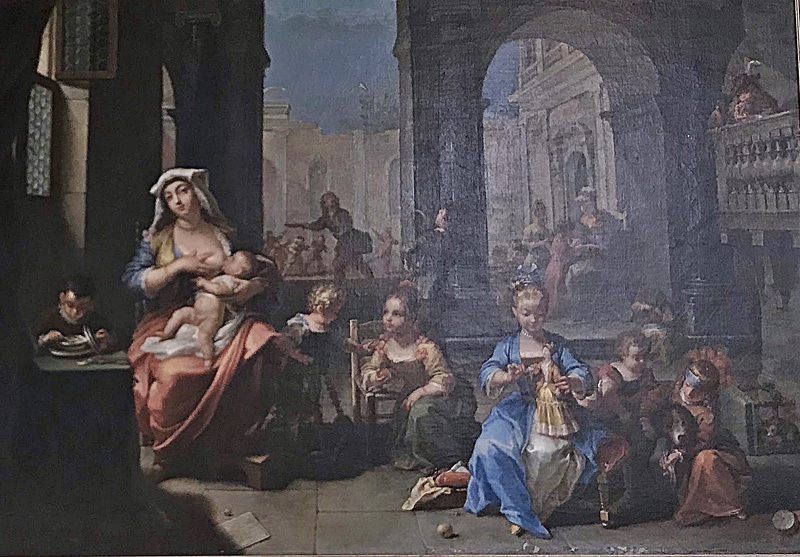 The museum’s breathtaking environment is perfect for displaying the Republic of Ragusa’s artistic and historical heritage. Since there are few tourists this time of year, I almost had the museum to myself. It’s one of the most beautiful buildings I’ve seen – inside and out! As usual the massive amount of information displayed seemed slightly overwhelming. I need a second visit to caption photographs of the paintings. Originally constructed during the 12th century, the Palace was rebuilt twice. It was the seat of the Republic’s Rector and included an armory, watch house, and prison. The architecture represents Gothic, Renaissance, and Baroque styles with details from Greek Mythology. In 1435, a gunpowder explosion from the armory destroyed the original building. Croatian sculptor Juraj Dalmatinac and Italian Masters Onofrio della Cava and Michelozzo Michelozzi rebuilt the Palace. 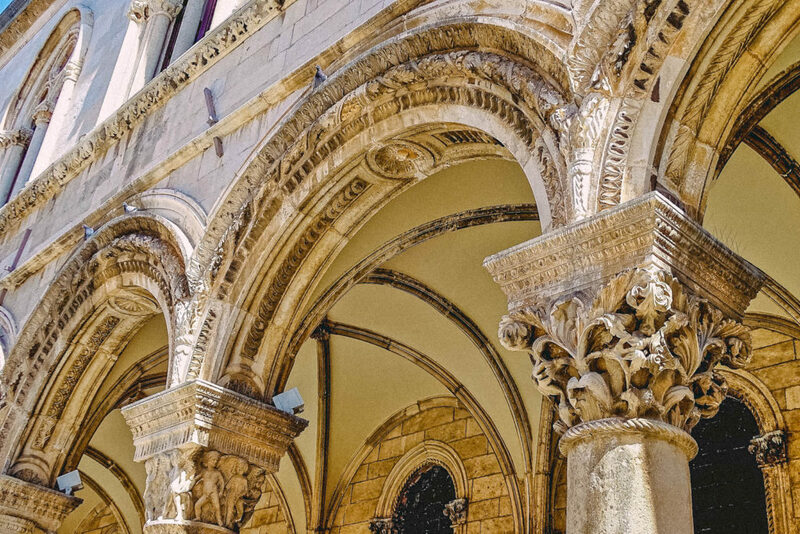 The original Venetian-Gothic architecture was designed by Onofrio della Cava with sculptor Michelozzo Michelozzi creating the Museum’s magnificent loggia façade. Capitals of the stone pillars around the Palace entrance exhibit flowers, animals, and Greek mythological motifs. Other than a fascination for Greece, it’s unknown why the artists carved Greek myths onto the pillars. The museum has three levels. The ground floor includes archives, a courtyard, prison dungeon, courtrooms, ammunition stores, medieval church art, and a small chapel. The mezzanine has a collection of coins, seals, weights, and watches. Italian master builder Onofrio della Cava designed the Palace’s Venetian-Gothic architecture. 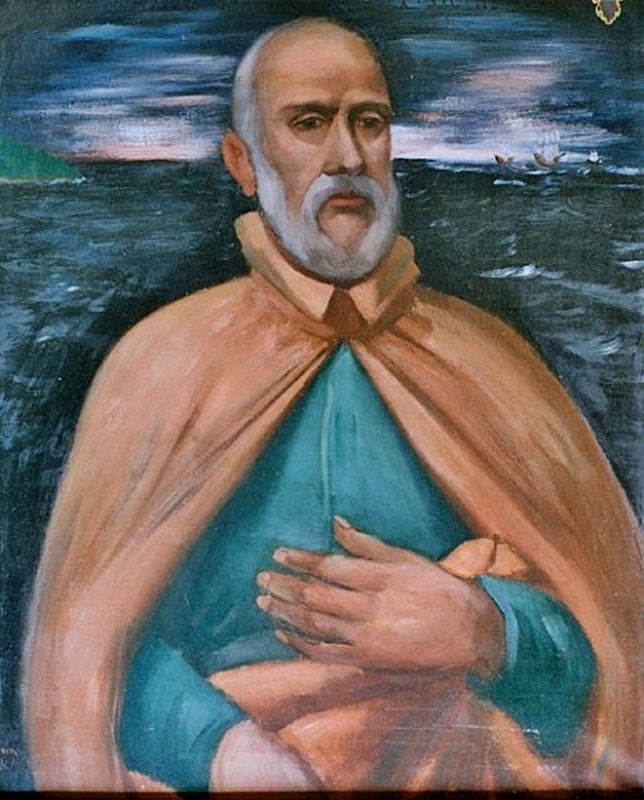 The rectors lived upstairs where there’s a permanent exhibition of beautiful paintings by Italian masters and a portrait of Croatian artist Mihailo Hamzić. 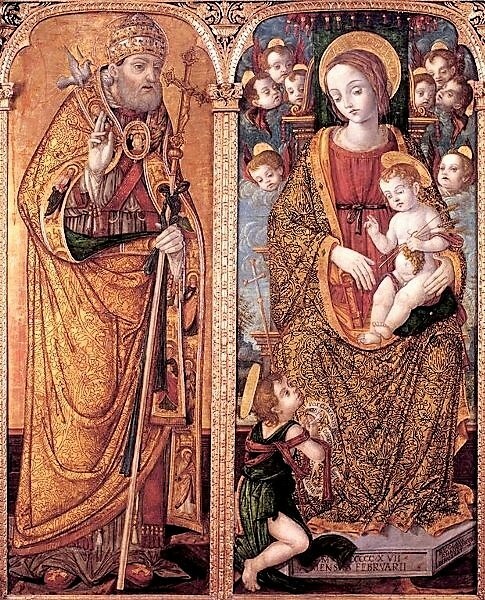 Hamzić was a member of the Dubrovnik Painters School from the 16th century. 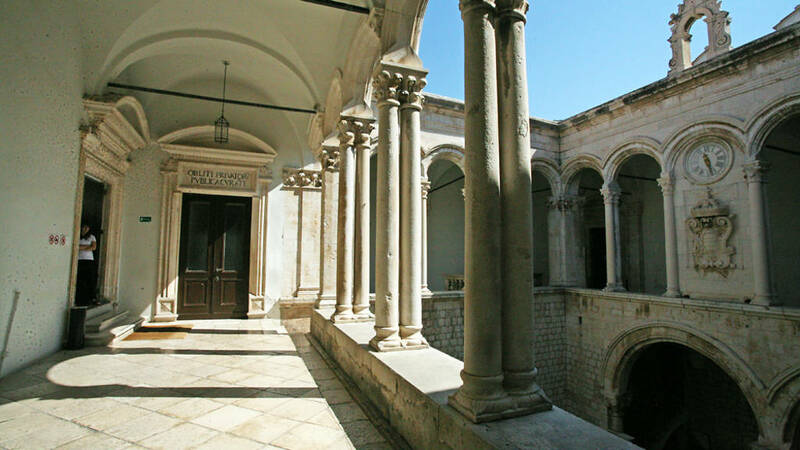 Dubrovnik was a center for art in the Mediterranean, and the government invited foreign masters to move there to enhance their churches and monuments. Interesting furniture displayed includes a writing desk by Italian Baroque painter and printmaker Luko Giordan. There are displays of everyday items dating between the 16th and 19th centuries. 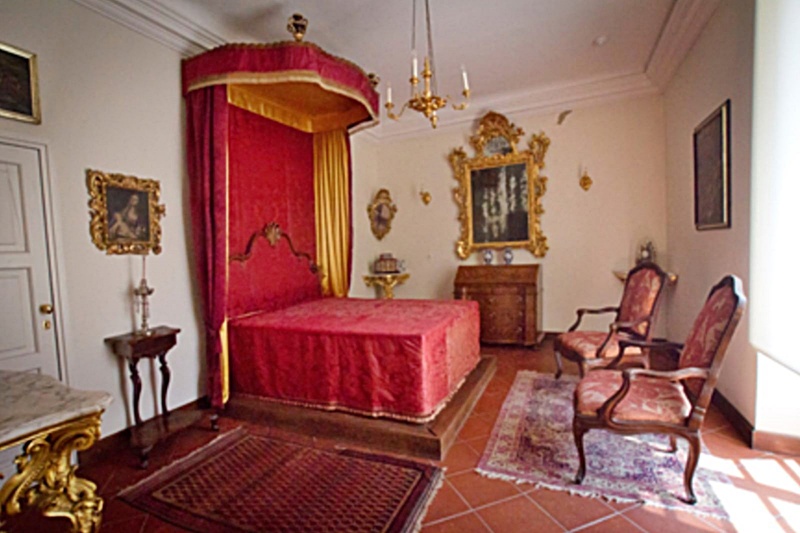 The Rector’s Rococo bedroom is on the south side. Notable items include sedan chairs, carriages, magistrates’ robes and wigs, and a beautifully carved bookcase by prominent, respected resident Ivo Rudenjak. 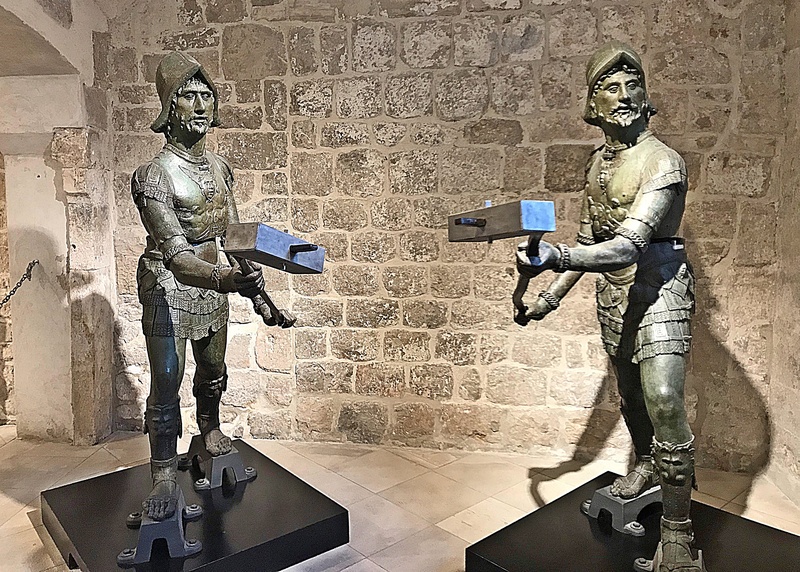 Some of the clocks displayed are “set at quarter to six, the time in the evening 1806 when Napoleon’s troops entered Dubrovnik”. 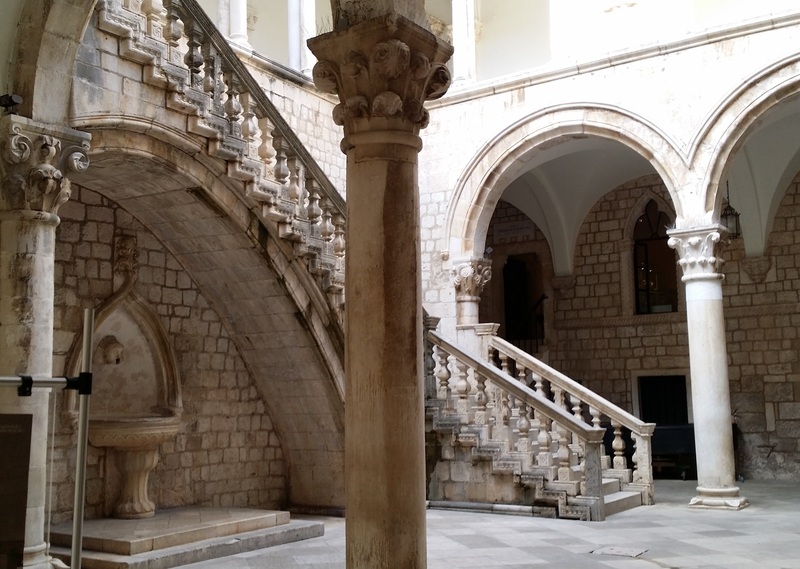 The baroque staircase in the courtyard was built after the 1667 Dubrovnik earthquake when “the entire city was almost destroyed and around 5,000 people killed”. A stone version of the Republic’s coat of arms is visible at the base of the staircase. 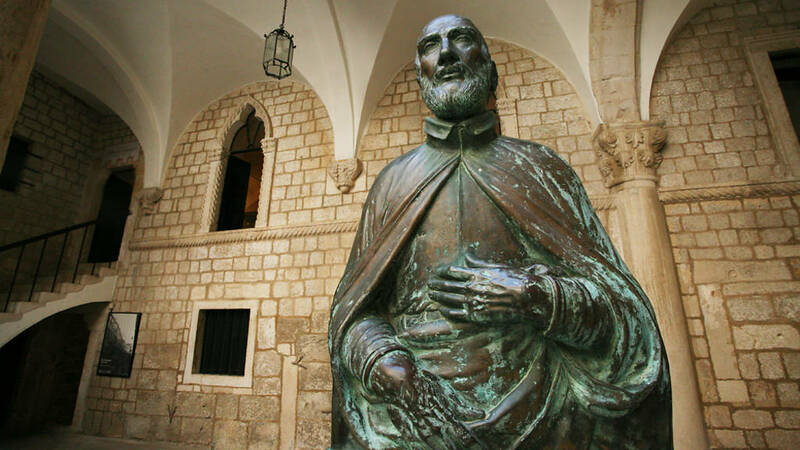 The center of the staircase features a statue of Miho Pracat, a Dubrovnik shipowner from the 16th century revered for his bravery and generosity. It’s the “only statute dedicated to a common citizen built during the Republic”. After his death, Croatian shipowner Miho Pracat left all his wealth to charity. During one of his voyages Pracat broke a pirate siege. 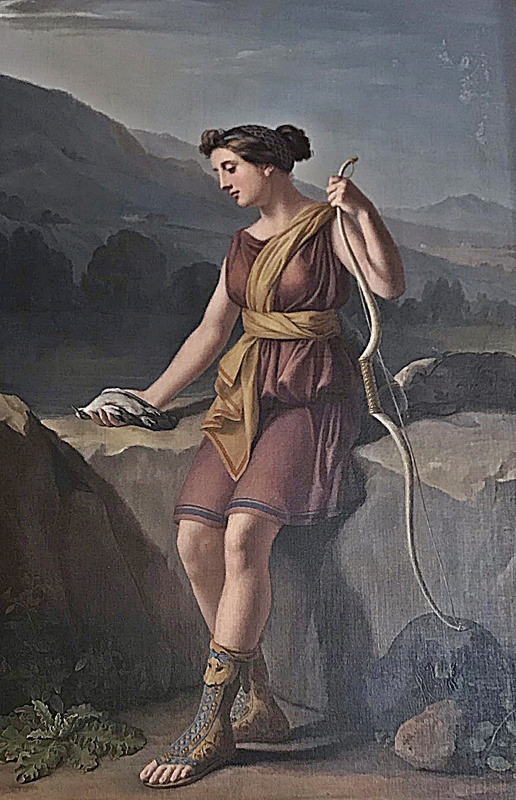 This brave act “caught the attention of Charles the Fifth” – ruler of the Holy Roman Empire, Spanish Empire, and the former Duchy of Burgundy. This connection enabled Pracat to “bring back ships loaded with corn to hungry citizens. Allegedly he spent a portion of his wealth to free Christians captured by the Ottoman empire”. 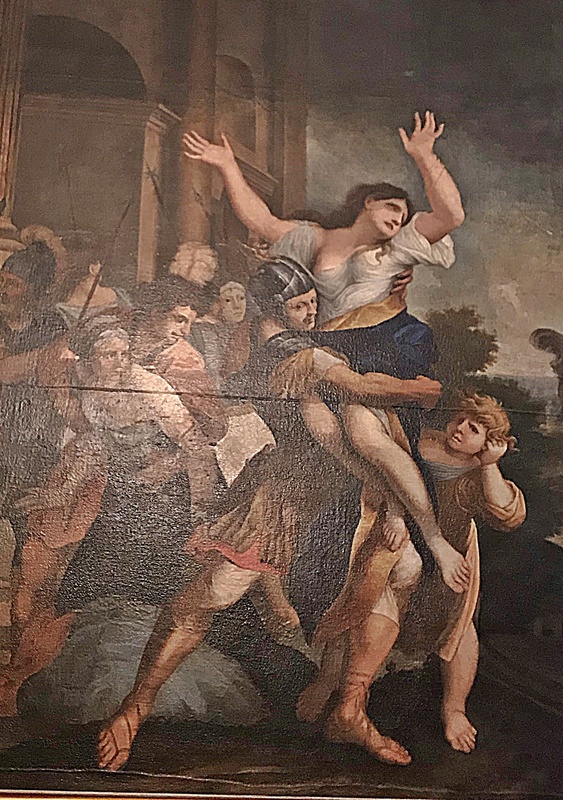 This entry was posted in Croatia and tagged Croatian Painter Mihajlo Hamzić, Florentine Michelozzo Michelozzi, Hamzić, Ivo Rudenjak, Juraj Dalmatinac, Luko Giordan, Miho Pracat, Napoleon Invasion of Dubrovnik 1806, Onofrio della Cava, Rector’s Palace Historical Museum of Dubrovnik’s Past, Republic of Ragusa, Rococo, Venetian-Gothic Architecture by suemtravels. Bookmark the permalink. Such beautiful art. And Pracat! What a cool cat. 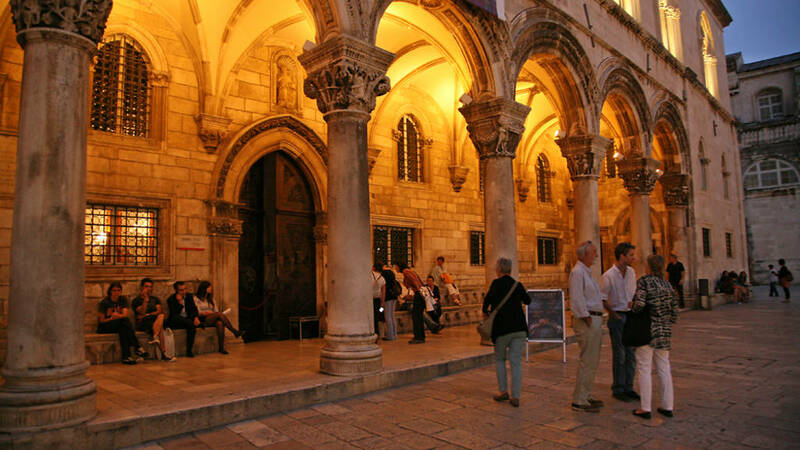 I’ve learned lots about Dubrovnik and Croatia!